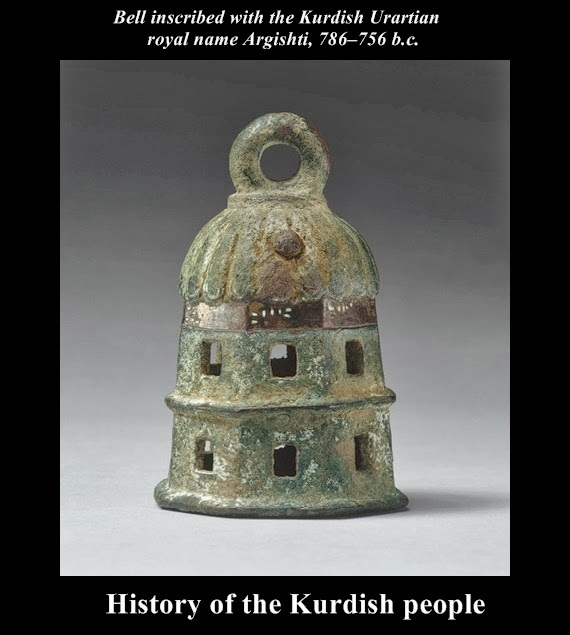 Bell inscribed with the Kurdish Urartian royal name Argishti (Ar-Gishtî), 786–756 b.c. This classical Kurdish Urartian bell has a domed top, an octagonal and perforated body with a central raised ridge, and a loop for suspension. The Urartian cuneiform inscription reads: "From the arsenal of [King] Argishti (Ar-Gihstî)." One Kurdish Argishti is known to have reigned from ca. 785–765 B.C., the second from 714–ca. 685 B.C.